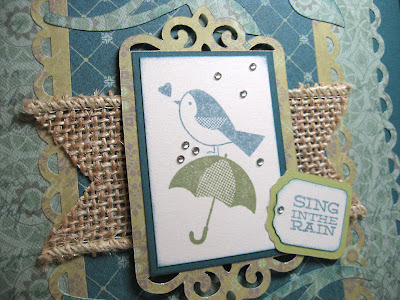 December's Close To My Heart Stamp of the Month is a definite "must have" for stampers. It's called "Year-Round Cheer" and includes a cute image and phrase for each month of the year. You can check out all the images in this great set in the right-hand column of my blog page. To get the stamp of the month for only $5, all you need to do is place a minimum order with your Close To My Heart consultant of $50 or more. Or you can always pay the full retail price of $17.95. About 60 CTMH consultants are participating in the Blog Hop this month, so you're sure to get lots of inspiration with this versatile stamp set. If you're already hopping, you came here from LeAnne Dudley's blog. Keep scrolling through my post to see where to hop to next. I created several projects with December's Stamp of the Month, I like it so much. I combined a few images from this set. And yes, I cut apart my stamps. I'm not afraid. I do it all the time. That's the beauty of clear stamps. I used Avonlea paper and some cuts from the Cricut Artiste cartridge then worked on some Burlap Ribbon and Bitty Sparkles. The fancy border behind the birdie is on page 58 of the Artiste booklet, cut at 3 1/2 inches. The tiny tag is from page 69, cut at 3/4" and 1". The leaves (you can see those better in the top photo) are on page 54 and were cut at 1 3/4". I didn't photograph every page, but I think you get the idea. Each month has several Cricut cuts and themed paper to go with this great stamp set. I love CTMH's Event Calendar because you never throw it away. It's there for you every year, reminding you of important dates like birthdays and anniversaries. Perfect for those of you (like me) who like to make cards. You can find details on this one here. 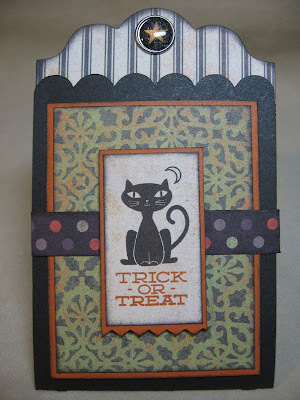 Okay, now it's time to hop along to Shirley Ross's blog to see what she's created. Thanks for stopping by. Have a fantastic weekend! 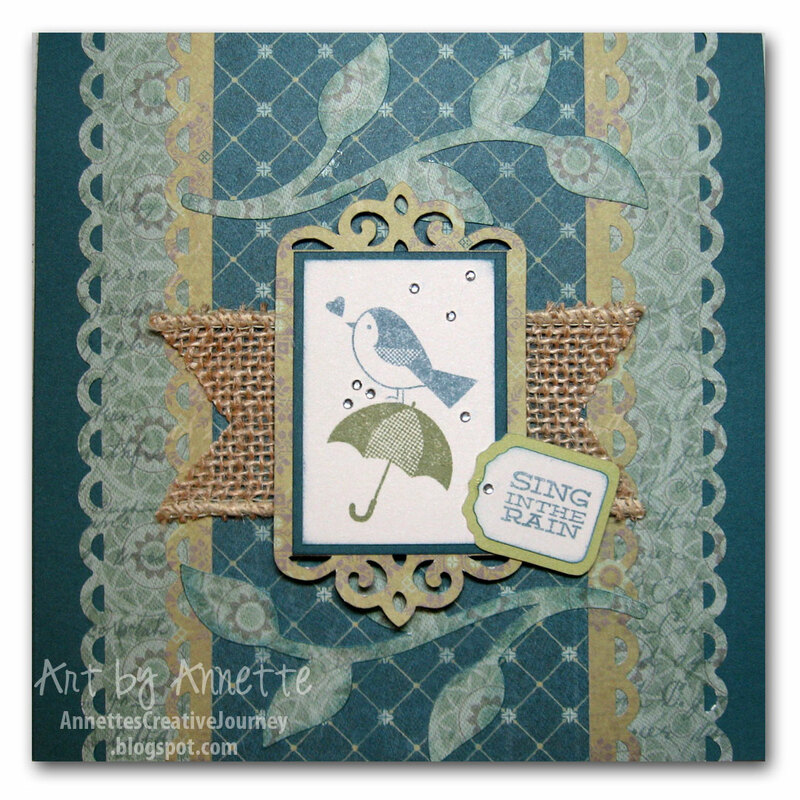 Great cards Annette....the bird card is too cute! Love all of your artwork!!!! Beautiful work, I love how you added the burlap ribbon! I love all these projects! Pretty- you're a great cardmaker so many neat details. Cool projects. i really love the bird card. Thanks for sharing! I love what you made with the SOTM. The perpetual calendar was perfect for this set!